Applied Improvisation & Emotional Intelligence Workshop Hand-Out: Understanding The "State of Play"
prefrontal for you brain hardware hackers out there) is deactivated, while the self-expression part of the brain got activated (medial prefrontal). Literally, that means that to be creative you have to stop picking on yourself while boosting your self-expression abilities." When we are able to reduce activity in the self-monitoring part of the brain we are more free to experiment and take risks, to respond creatively to unpredictable and unknowable interactions with others. Improvisation warm-ups games and exercises are designed to reduce the self-monitoring activity and self-consciousness, refocusing our concern about ourselves and how we are doing to concern about our partners and the success of the game or scene. Spontaneity emerges naturally when we are able to shift focus in this way, what improvisers call the "state of play." "We get a taste of the present moment when we go to see a great play, painting, sporting event or other performance. It is the entire premise on which improvisation was founded," writes improviser and author Gary Schwartz in his blog post "What Does It Mean To Improvise?" on www.spolin.com. "Viola Spolin created some 300 doorways, the form of Theater Games to allow for this most ephemeral, but essential experience - The experience of present time where true creativity is possible." The "state of play" in a baseball game is in the readiness of both teams to focus their attention on moment-to-moment action and reaction and in the agreements among the players about how to proceed. 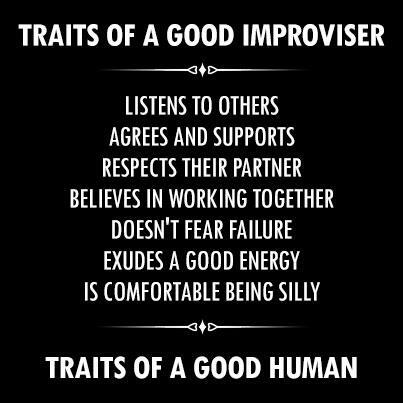 There is a phenomenon improvisers sometimes refer to as "group mind" which on a sports team grows through playing together, working out social and emotional issues that arise and learning to communicate through subtle, often nonverbal cues that become commonly understood. 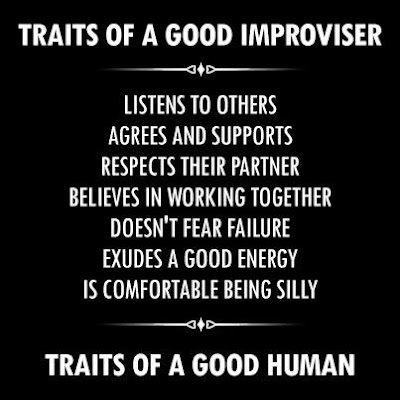 In a similar way, Applied Improvisation operates through games and exercises that focus mind and emotion on the present moment and on the agreements between improvisers. "Group mind," or the attunement players develop to one another increases trust and safety which reduces the psychological need for the kinds of self-monitoring we tend to need in many other social situations. It is a kind of paradox that our ability to think for ourselves - especially in high-pressure situations when the tendency to overthink and over-analyze could easily trigger the self-monitoring functions and raise anxiety - is strengthened through close attunement with others in a creative space. But it is true that repeated exposure to the "state of play" and successful interactions in that state of mind develop new confidence in our ability to be creative when under stress in other environments. 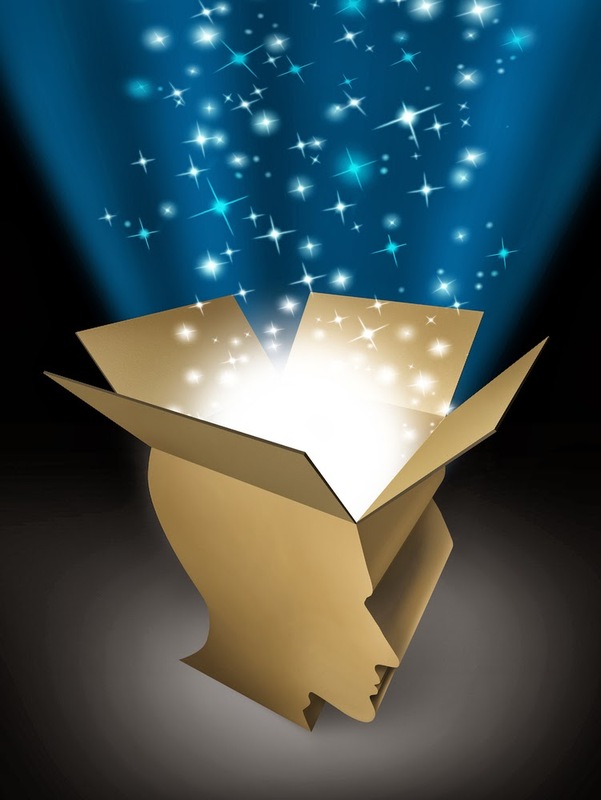 Emotional Intelligence grows through these experienes of attundement to others, the state of play, and creative collaboration available through Applied Improvisation. And it is widely regarded as vital to success at work and in life. Research discussed in the article "Why What You Learned In Pre-School Is Crucial At Work" on the New York Times blog The Upshot shows that the greatest job growth is in fields that require strong interpersonal skills and the ability to collaborate with others, both key competencies associated with Emotional Intelligence. The games and exercises used in this workshop focused on understanding how we enter the state of play and its relationship to "group mind" and the following competencies, drawn from the Emotional Intelligence Framework. Self-awareness: The ability to accurately recognize one’s emotions and thoughts and their influence on behavior. Social awareness: The ability to pick up on the emotions and needs of others, to empathize with others' emotional states in appropriate ways. The ability to pick up on social and emotional cues, nonverbal communications, as well as the emotional tone and shifting dynamics in relationships and groups. Pass The Clap: Everyone stands in a circle. One player starts by focusing attention on the person to his/her right and "passing" a hand clap. The person passing and the person receiving attempt to clap at the exact same moment. The less time between claps, the more successful they are. That person then "passes" the clap to the right, and so on. Play this till the clap really flows nicely around the circle. Then tell the group that players may decide to pass the clap back to the neighbor they got it from. Try it and notice how disruptive this can be. On count of 3 every player in a team decides to become one of the three choices. The idea is for everyone to become the same, which obviously won`t be the case, the first time. It helps to re-do the game this until the team is in sync. After doing the game in teams of 3, try doing it all together in the larger group. Players choose a partner then stand face to face. The claps in this game are straight ahead, to the right or to the left. The movement is as follows: Slap thighs, then clap either straight ahead, to the right or to the left. If both players clap the same way, they "high five" and then slap thighs and go again. What were you aware of in your attempt to synchronize your movements with each partner? What led to greater success in each of these exercises? How did that learning come about? What did you feel when you were unable to achieve the objective? How did these exercises impact your emotional state and the emotional tone of the group? This exercise is a classic warm-up for improvisers before performances. In this workshop, it is used as a way to evoke imagination, emotion and group communication and explore relationship through exploring the dimensions of a nonhuman object. § It is black and made of leather. § It is canvas with a rubber sole. § It is jack boot. § It is plastic and was made in China. § You are kept inside the box you came in, and are only brought out for weddings and funerals. § You were my companion in gym class for two years, but you now hide away at the back of my closest. § When I wear you, jackboot, I feel powerful and strong, and sometimes a little angry. § You are practical and comfortable, but I cannot wear you when it's raining. § Thou art a symbol of formality, discipline and respect. § Thou art meant for Saturday afternoons at the playground. § Thou art friend to fascist and communist alike, a vector of violence and mayhem. § Thou coverest mine feet, protecting them from the elements. If there is a pause in the rhythm of the piece, that may be a good moment to move to the next phase." Discuss what images were evoked by exploring the dimensions and functions of an object in this way. What human dynamics parallel what emerged about this object? What was it like to commit to the "Thou Art" expression of a dramatic, emotional thought? 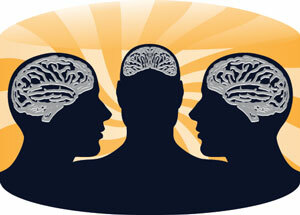 What are the connections to Emotional Intelligence? This exercise takes what was done in The Invocation into a scene. One player becomes a character in an environment chosen by the group. Another player provides the "little voice" for an inanimate object that begins interacting with the actor as the scene unfolds. Anything can have a voice, e.g. an article of clothing, a hair on the person's head, something in a pocket or on a shelf. The idea is to develop a relationship between these 2 and see what unfolds in their story. If the scene leads up to a transformational moment that would be a natural ending, but the exploration of the relationship, continuous yes...ands to what the other partner offers and development of the dynamic is the most important element. Two players develop a short, grounded scene that establishes a relationship between them. At any moment, a group member calls out "Oscar moment" and whoever is speaking at that moment must then improvise an Oscar-worthy monologue building on whatever emotion was being expressed. The bigger and more emotive the monologue, the better. Then the scene progresses, until another "Oscar moment" is called. DEBRIEF: With what groups or classes can these exercises be used? How can these exercises be adapted for different age groups? How might the "state of play" mindset impact students' or workers' performance? Related research: An article in Child Development shows that social-emotional learning programs have a very positive impact on academic, as well as attitudes, social-emotional skills, and behavior among school-age children. The Journal of Organizational Development published research showing that "emotional abilities allow people not only to process affect-laden information effectively but also to use this information to successfully navigate the social world of organizations in the pursuit of prosperity."